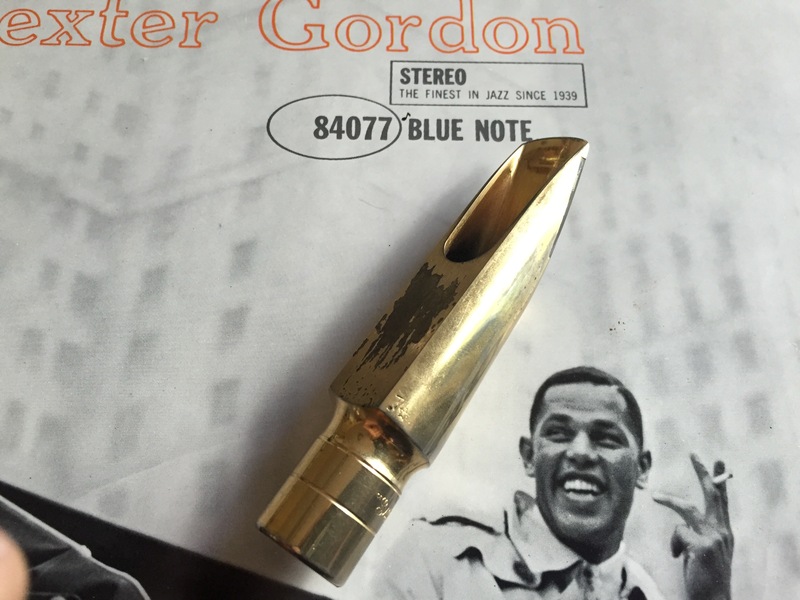 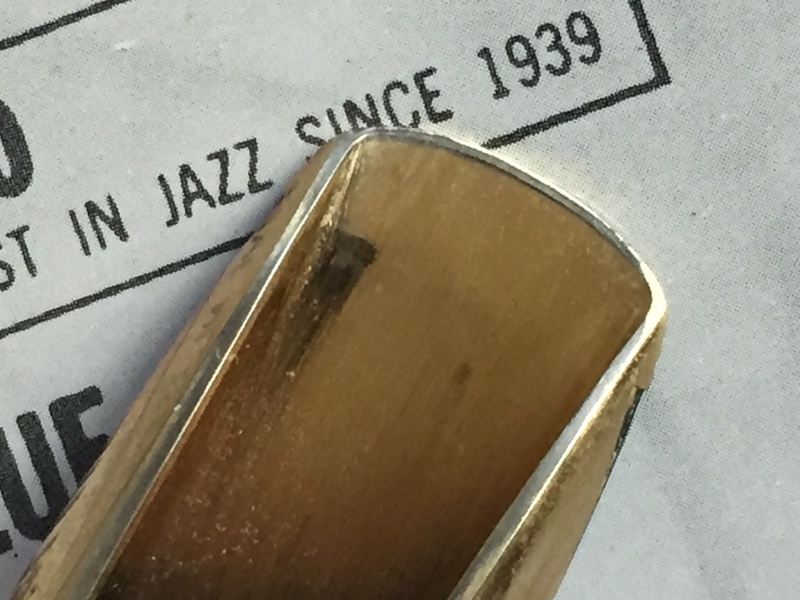 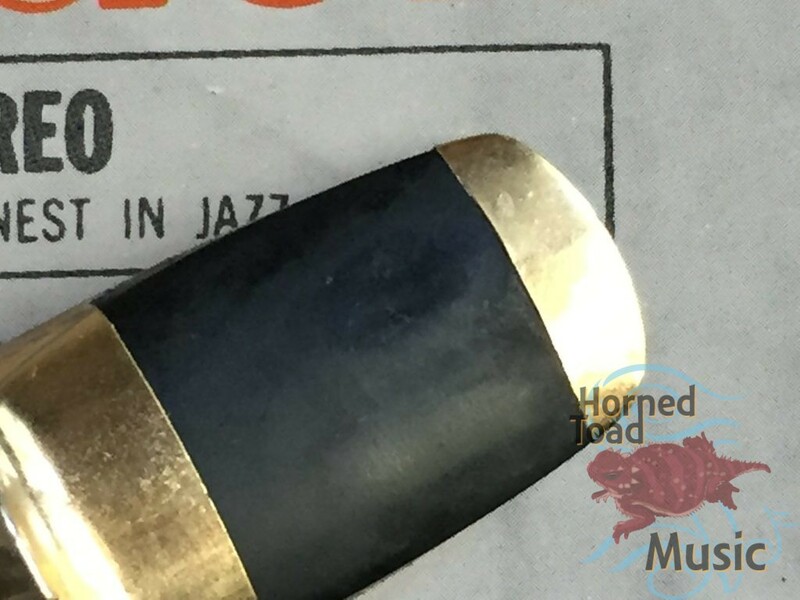 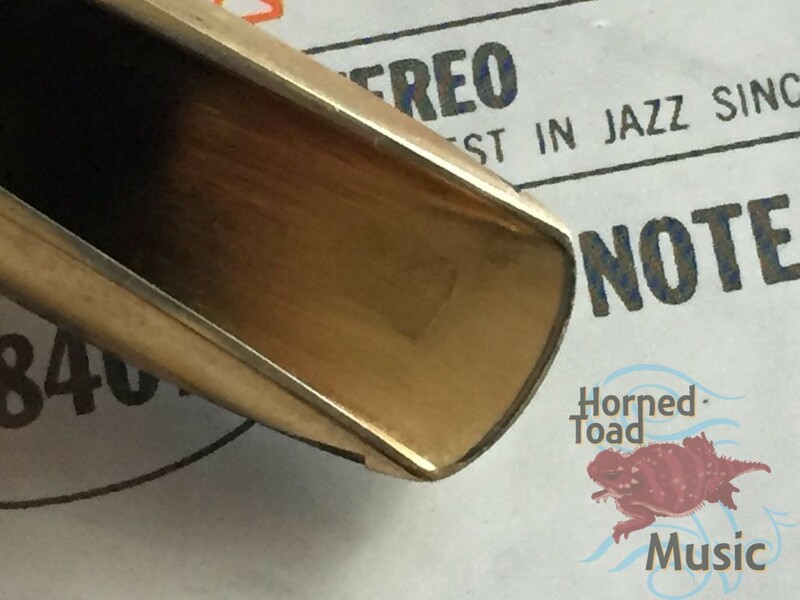 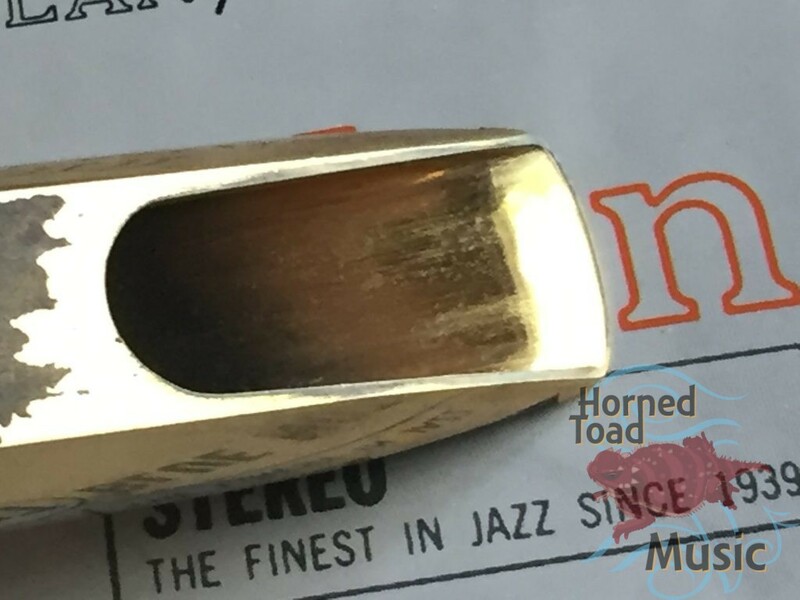 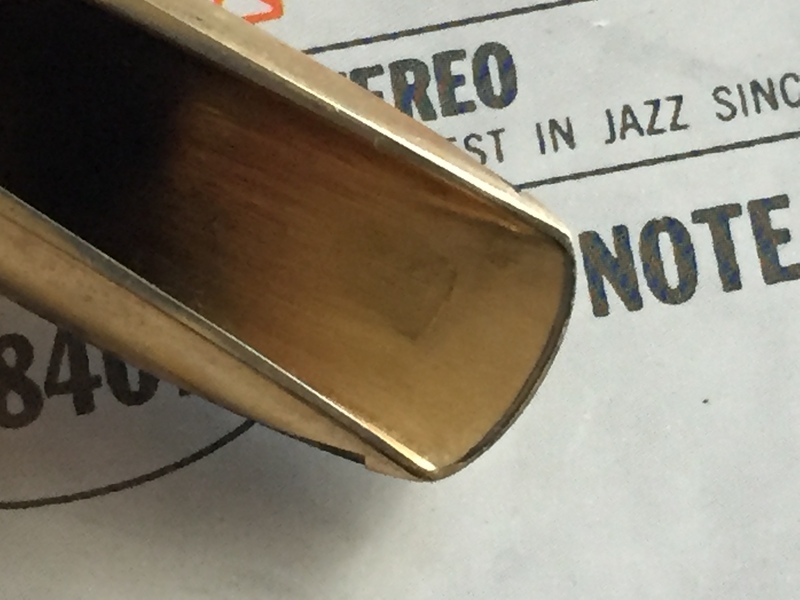 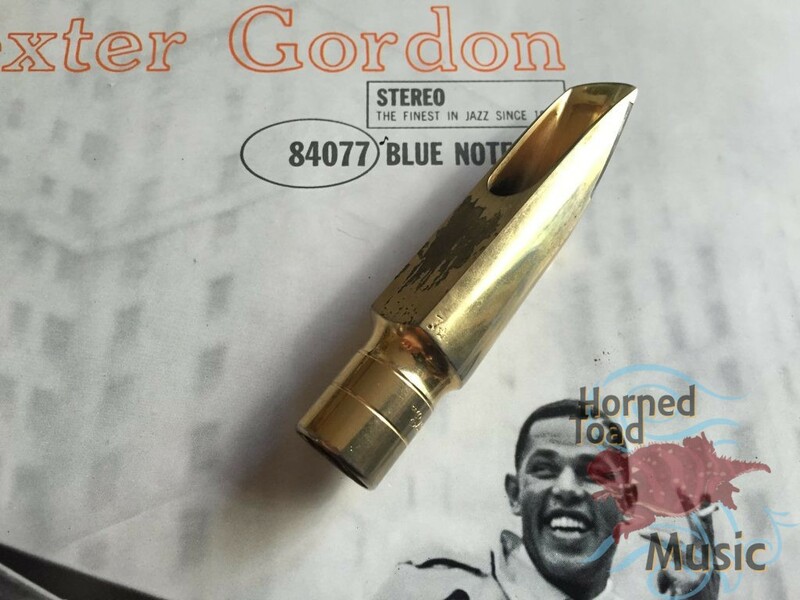 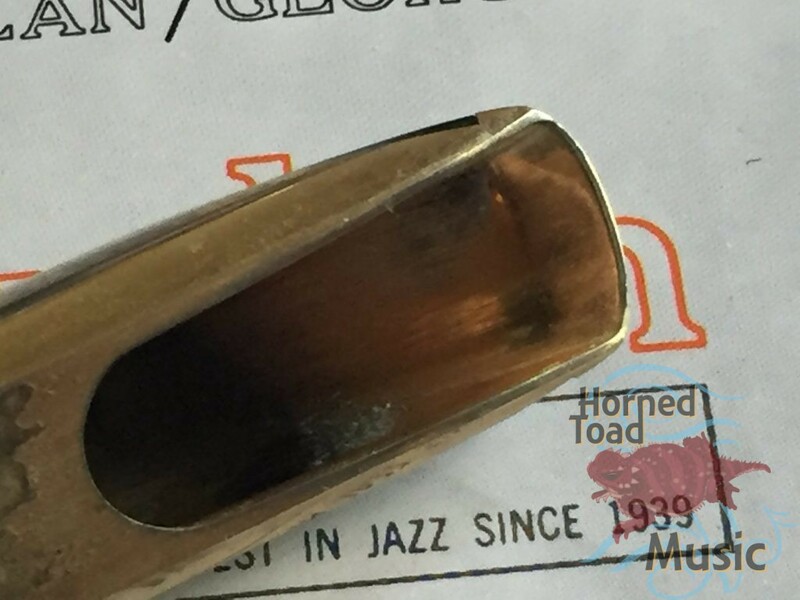 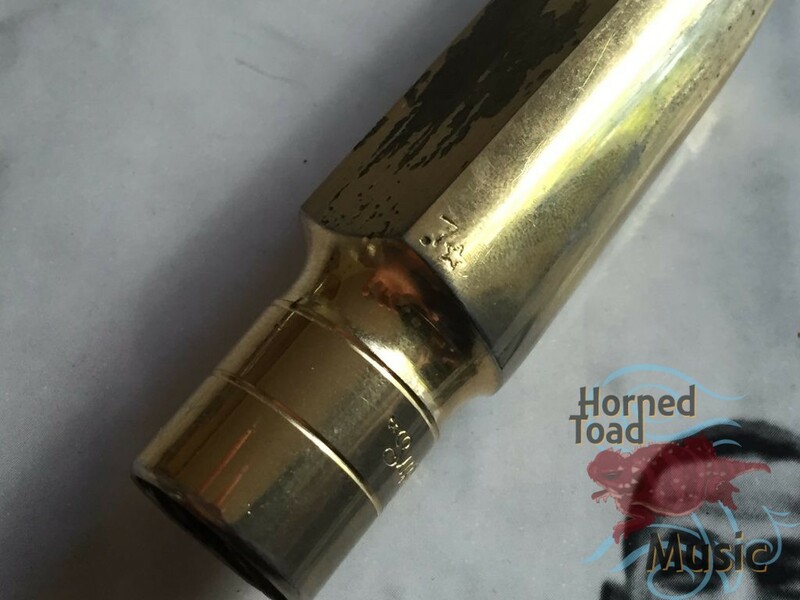 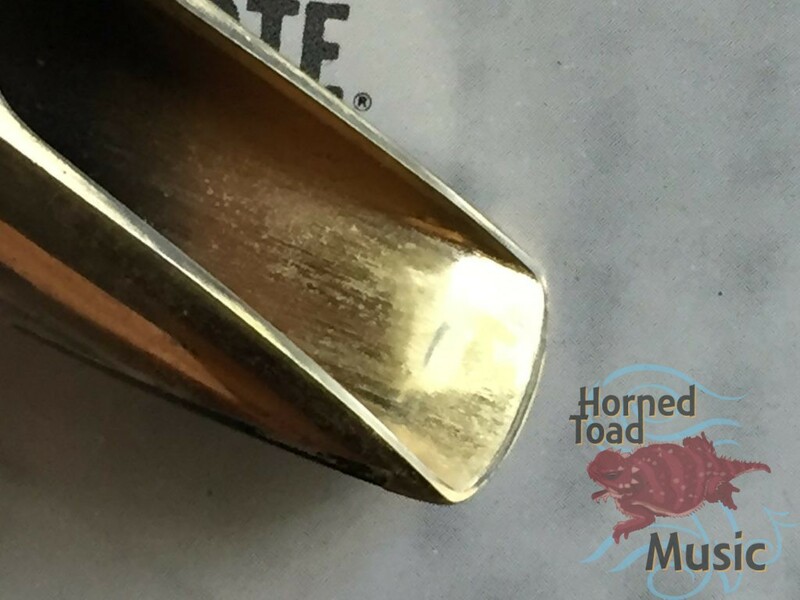 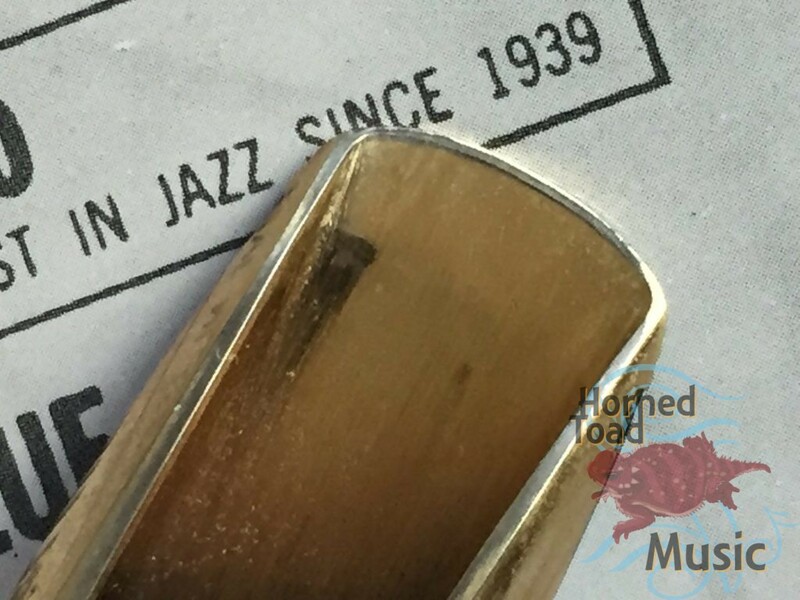 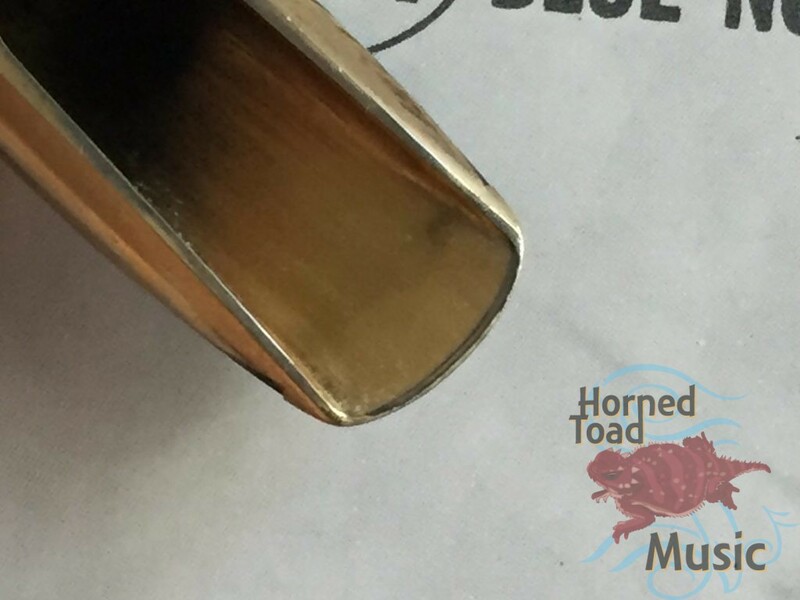 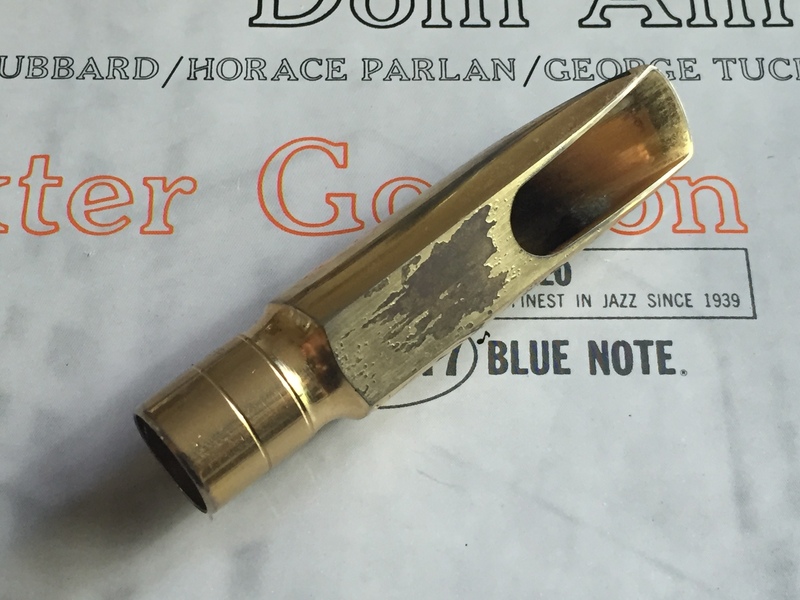 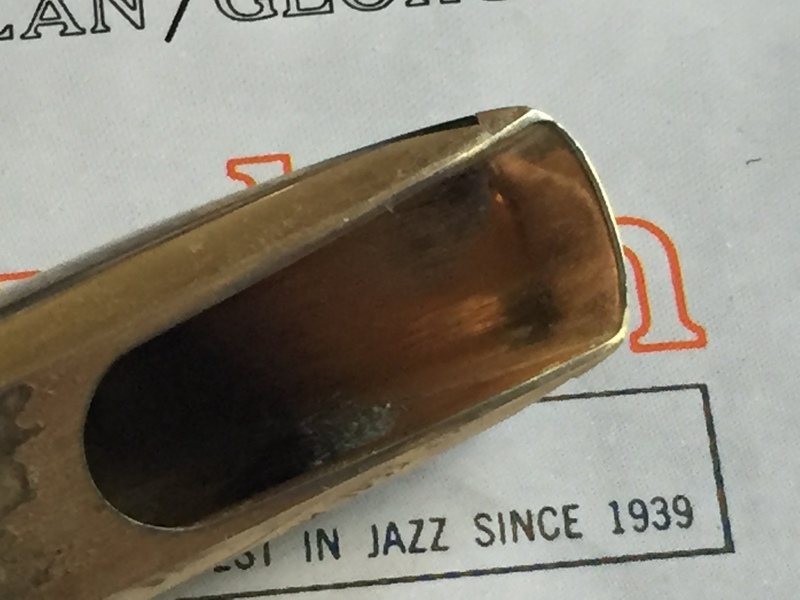 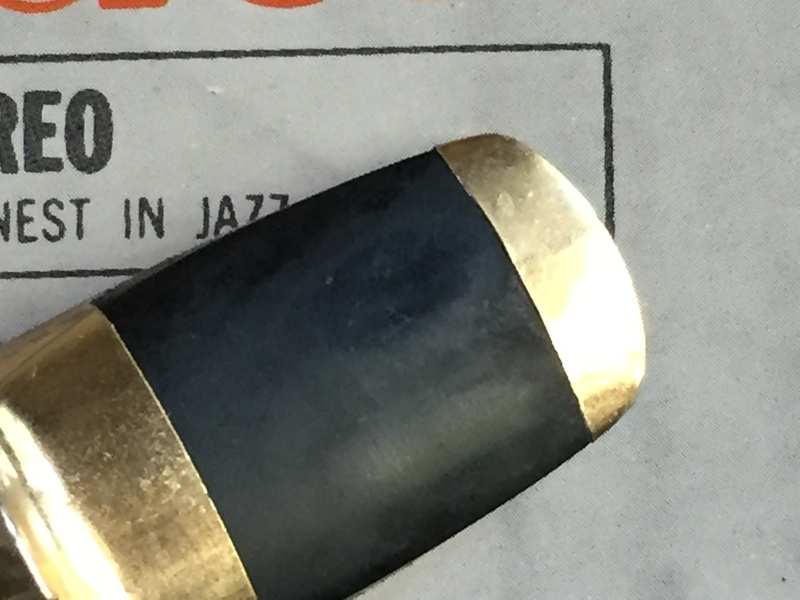 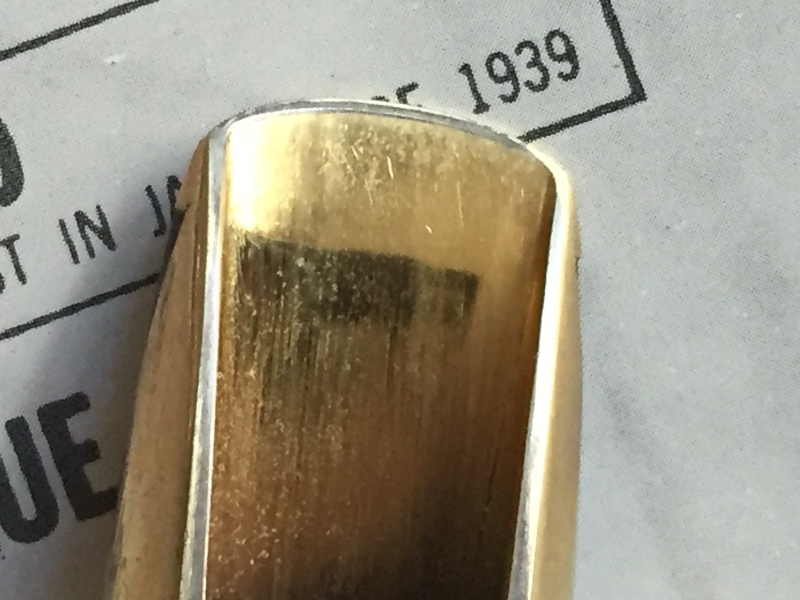 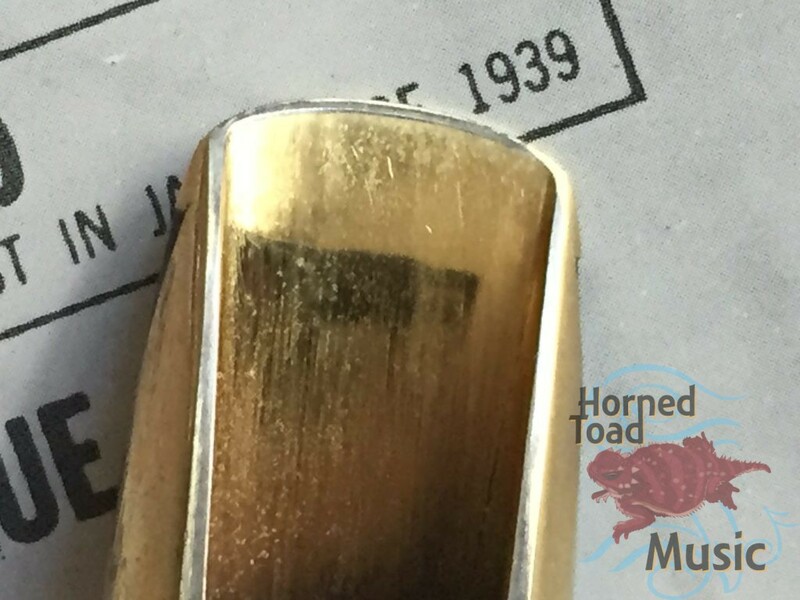 This is an original vintage Florida no USA 7* tenor saxophone mouthpiece. 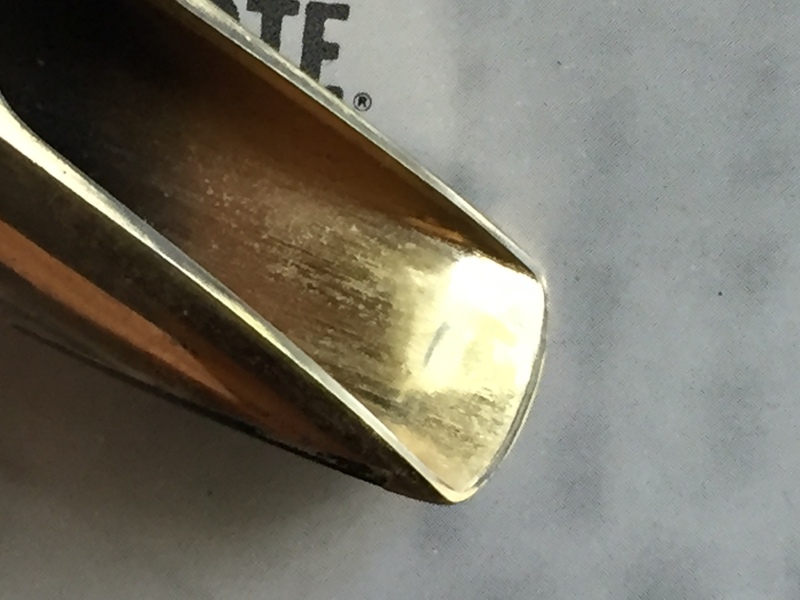 As is visible a lot of the original gold plating is still intact with some peeling on the table. The tip, baffle and rails are in excellent condition. 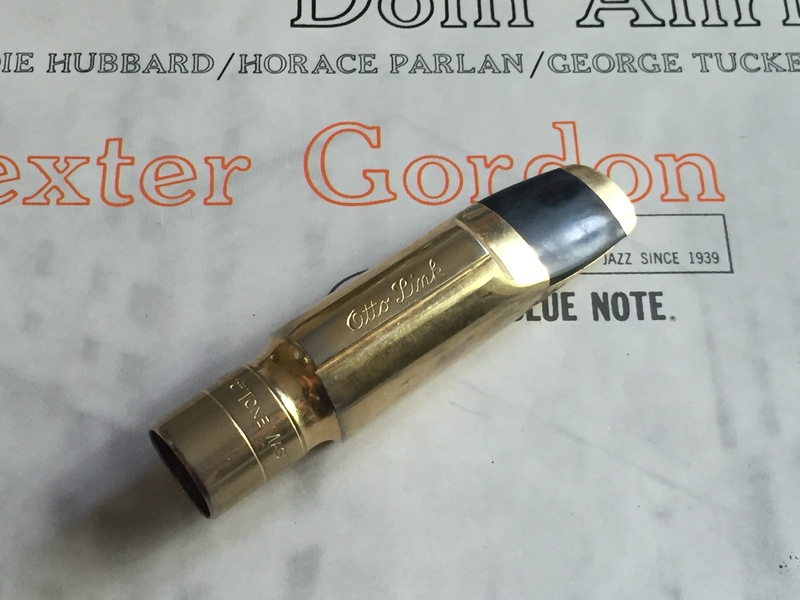 This piece plays with a lot of power and fatness. 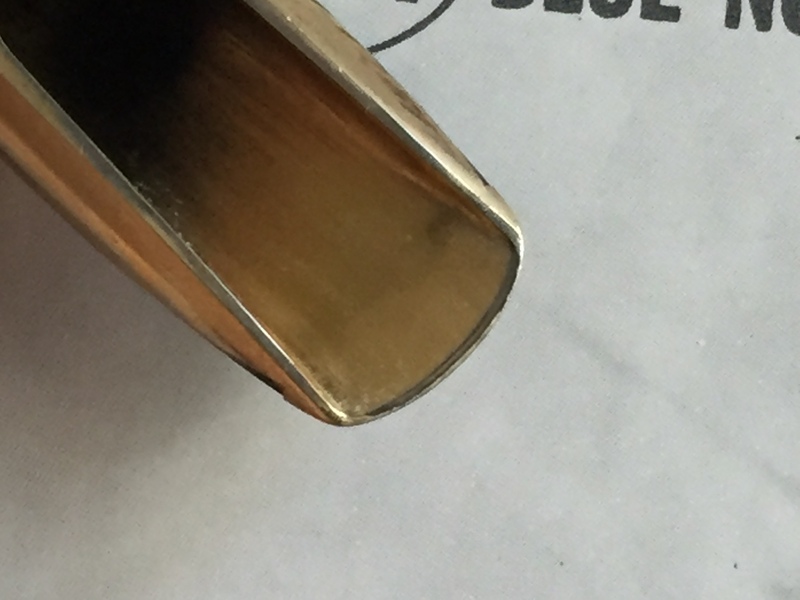 The tip measures at approximately .106 on my tools. 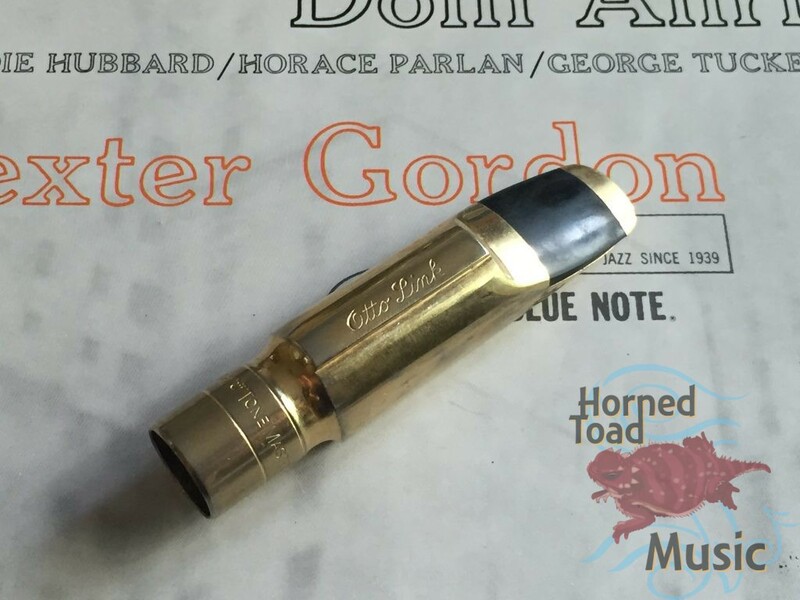 Plays very big, not excessively bright and not dark either on a 2.5 reed anyhow. 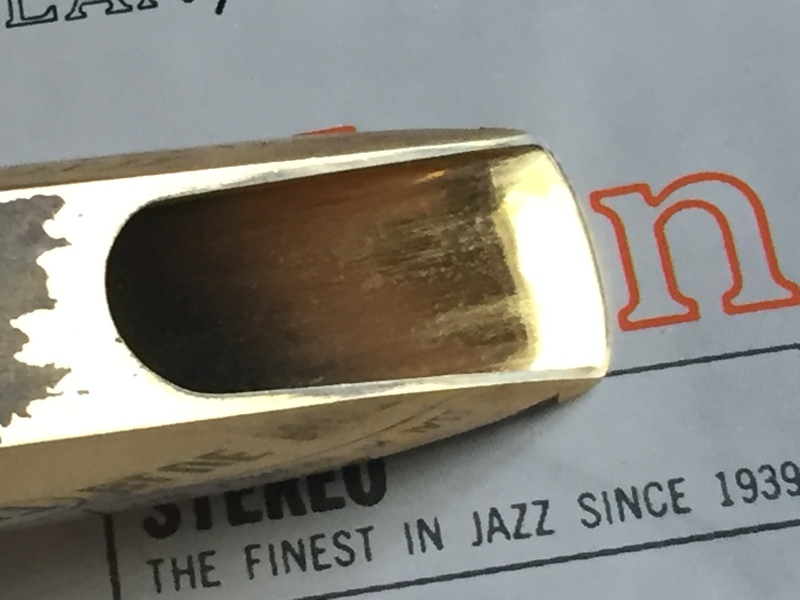 It’s got a lot of clarity and partly owing to that later style no USA baffle that is a bit flatter and longer.